From phones for your grandma to sweaty warehouse raves, Miles’s businesses are a world apart, but both began in the same place. I’ve had two different sparks, one providing tech to the elderly and another hosting warehouse raves. 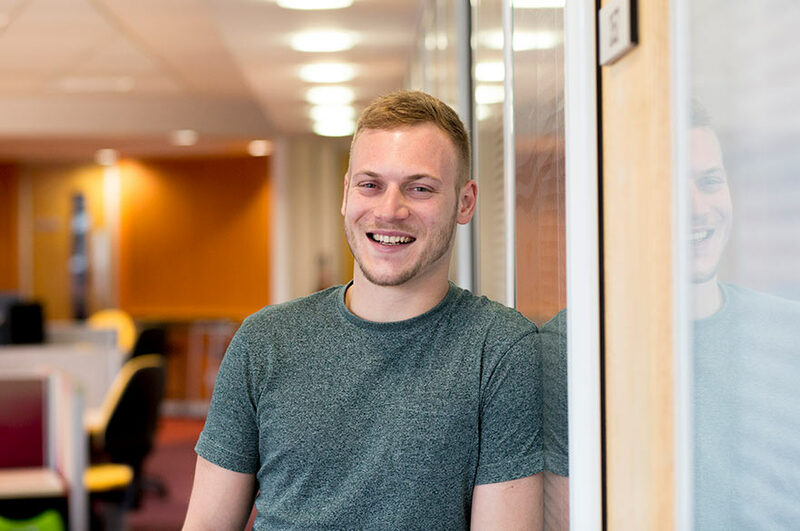 Miles, an NTU BA (Hons) Business Management and Entrepreneurship graduate based in The Hive, spotted a gap in the market and created award-winning company TechSilver. He’s also followed his passion for drum and bass music to create SquareOne, Nottingham’s dedicated drum and bass party. What gave you your spark to create TechSilver? My spark moment started one evening watching television. I realised that there wasn’t one place where the ageing population could go to find the technology-based products and support they needed. I’d previously worked on music and video desk at ASDA and older customers would regularly visit the store asking for technological support and guidance. This started happening more and more regularly, until I realised they were bringing in products, which we didn't even sell in store solely to gain some tech advice. The TechSilver idea was born. TechSilver’s eay to use website offers a range of technology-based products aimed at the older demographic – such as easy to use smartphones, music players and tablets to assistive technologies such as GPS dementia trackers and alarms. These all encourage independent living for the elderly. Our emphasis is on providing a helpful, honest and knowledgeable service. How has The Hive helped you? The Hive was influential in shaping the business and me as an entrepreneur with its continued support. I had the idea but they helped show me how I could put it into practice and make it work with access to funding and resources that made it possible to launch TechSilver. Everyone is very approachable and there is very much an open door policy so I am always able to access their expert advice. The Hive offers opportunities, resources and possibilities that otherwise would be almost impossible to come by, especially all in one place. The entrepreneurial atmosphere means ideas and invaluable knowledge can diffuse between individuals, providing the perfect place to operate an SME. Find out more about Miles’s businesses TechSilver and SquareOne.